The traditional 13" Bowling Trophy's back, and you're the design master! Right here at Newline Trophy - click our CUSTOMIZE THIS TROPHY button (above), where you're the artist. 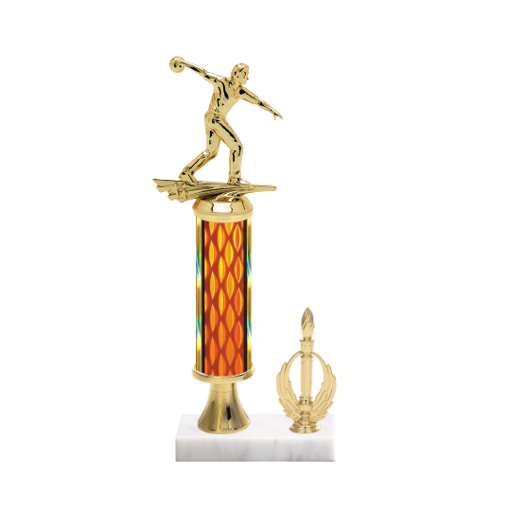 Select from any of our Bowling Figurines, column colors, side trim and a black or white marble base, to create an exceptional Bowling Trophy. . . You design it - we build it, engrave it, ship it and you . . . and, you will look good!